NBA forward/center known for his outside shooting. He was drafted 8th overall by the New York Knicks in 2005, then went on to play with the Portland Trail Blazers, Phoenix Suns, Orlando Magic and Cleveland Cavaliers. He won an NBA Championship with Cleveland in 2016. He played four years of college basketball at Arizona from 2001 to 2005. He established the Channing Frye Foundation in 2007 to help point at-risk youth in a more safe and healthy direction. He married Lauren Lisoski in 2009 and he has a son named Hendrix. 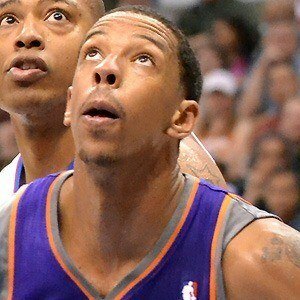 He played alongside star NBA point guard Steve Nash on the Suns from 2009 to 2012.